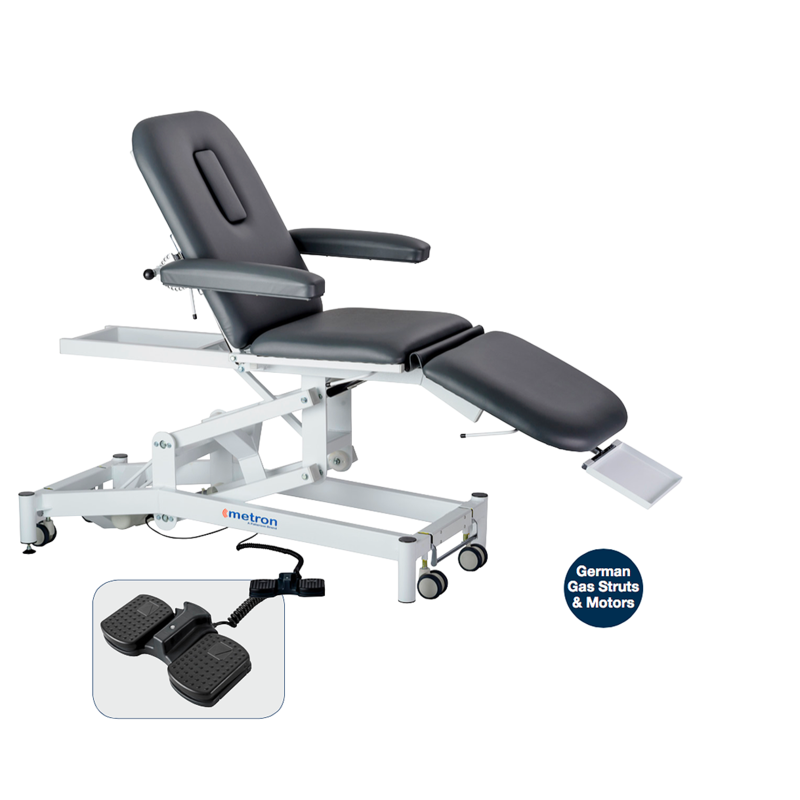 This chair offers the practitioner a variable height chair that can double as a plinth for prone positioning. The chair has swing away arm rests that lift up to allow easy access to the chair. These arm rests are also removable to allow even greater flexibility of use. Each section of the table can be individually moved to a preferred angle to suit treatment requirements. The backrest is controlled by gas struts giving smooth yet rigid control of this section. A quiet electric actuator is used to raise and lower the chair. A foot switch is provided as standard. The chair also has detachable arms. Standard with face hole and plug. Comes with four wheels, as standard.